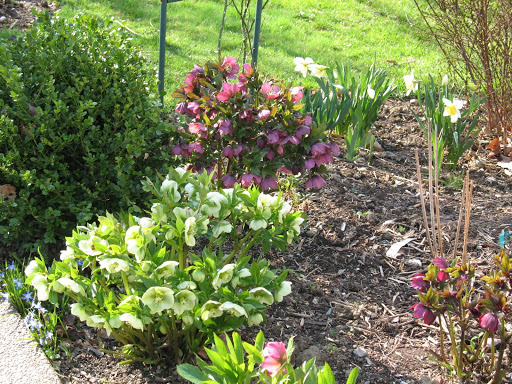 Hellebores, one of my favorite flowers of spring . 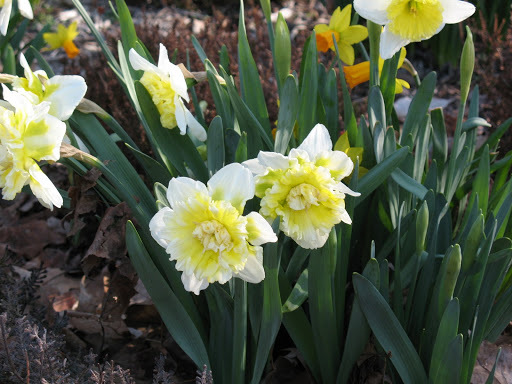 It begins blooming for me in February and is gorgeous into May. The flowers are downward facing so you have to slow down to enjoy the bloom. Always lifts my spirit that Spring is really here. We have had the perfect Spring here in western PA. It has been cold but not bitterly so. 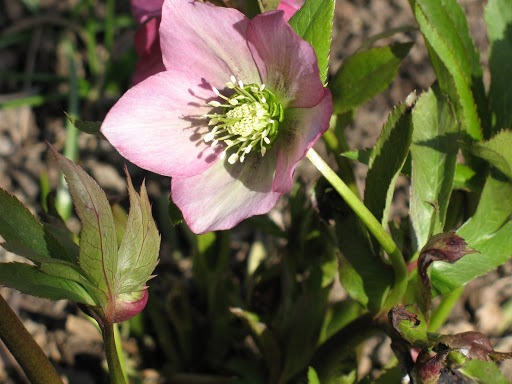 The fruit trees and shrubs have been able to set their buds without fear of too warm days followed by freezing temperatures. Last year we had 80 degree days in March followed by the 20’s in April. Ruined much of our apple crop and lots of ornamental shrub blossoms. Looks like it will be a real Spring. The fruit trees and lilacs are ready to burst. And there has been knitting…. 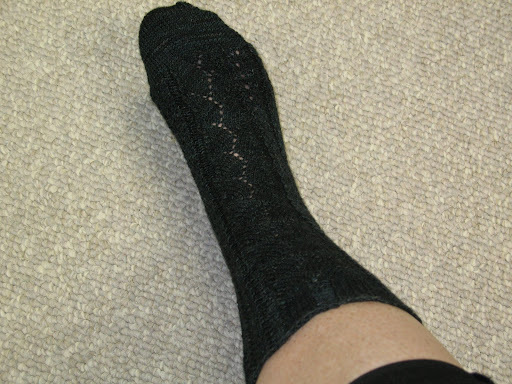 Pattern: Merino Lace Socks by Anne Woodbury from Interweave Knits Favorite Socks book. The color is very washed out on this picture, the others are more representative of the wonder that Sundara does so well. I was bursting at the seams this weekend because Anne from Knitspot mentioned me on her blog. Unfortunately, I don’t think I fully conveyed how much I respect and revere what she does. Her designs are extraordinary and make me weak at the knees. So much talent, I am humbled that she noticed me. I spend every Monday afternoon tutoring a group of kindergarten students at our local elementary school . They are absolutely the cutest and most endearing bunch of 5 and 6 year olds. I challenge anyone to work with these kids and come away in a bad mood. You get a weeks worth of hugs and adoration. I should be paying them, it’s better than therapy. Hope you all get a weeks worth of hugs.